Multimedia Archives - Page 2 of 5 - C:Amie (not) Com! 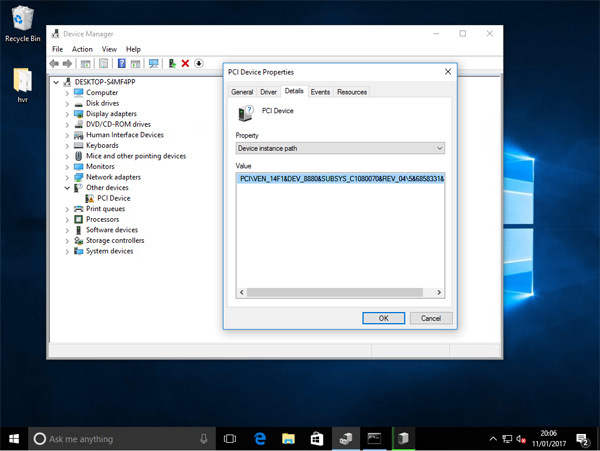 With the release of Windows Server 2016 came the promise of VMWare like PCIe Pass-through, allowing physical devices on the PCI bus to be attached to VMs. The plan is to attach the PCIe TV Tuner and attempt to get DVBLink working in a VM so that the physical unit can be decommissioned (saving the power bill). As part of the process, I was considering building a new server at the start of 2017 to perform a consolidation against. The Windows 10 DVBLink machine would be one consolidated devices onto more powerful modern hardware. I would also need new TV Tuners as only 2 of the 4 in the DVBLink TV Server is PCIe, the rest are PCI. Again, there are opportunities to consolidate that into fewer PCIe devices too. The driver for the new server was Hyper-V PCIe Pass-through, or “Discrete Device Assignment” (DDA) as Microsoft are calling it. It is however quite difficult to find out whether BIOS firmware supports the proper implementations of I/O-MMU VT-d to permit it, making the purchase a risk. Equally, there is no guarantee that DDA will work with a TV Tuner. Consequently, I decided to borrow a dual CPU Dell PowerEdge R630 to perform the experiment as there were several reports on-line that the R6xx and R7xx have the proper VT-d and SR-IOV feature set for this type of activity. Well done Dell (why don’t you advertise this?!). After updating firmware, adding the TV Tuner and installing Windows Hyper-V Server 2016 on the machine, the first step was to – as an experiment – attempt to install the TV Tuner drivers on Windows Server 2016 (which errored). After that it was time to run the DDA Survey Script from Microsoft. Express Endpoint -- more secure. And its interrupts are message-based, assignment can work. And it has no interrupts at all -- assignment can work. dismount-vmhostassignabledevice : The operation failed. virtual machine. The device should only be exposed to trusted virtual machines. This device is not supported when passed through to a virtual machine. function. The system as a whole may become unstable. The device should only be exposed to trusted virtual machines. …. before the VM blue screened a few seconds later. I tried to use several versions of the HVR-4400 driver that I could find and it made no difference. The VM would crash whenever it attempted to talk to the card. 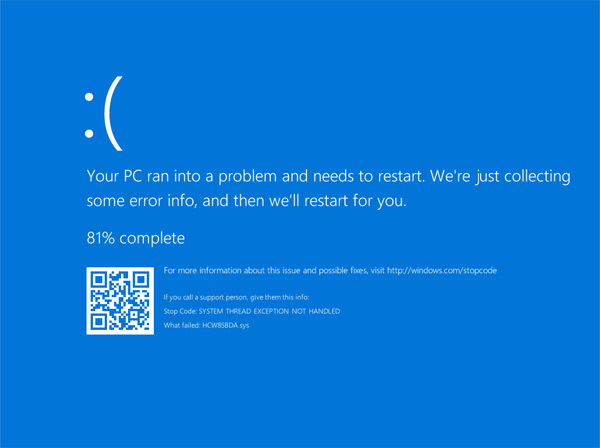 The Hypervisor itself did not seem to be impacted by the Blue Screen event and itself did not crash. I also tried fully removing the device from the Hypervisor using DEVCON and clearing out the driver using pnputil. Superficially, this action made it worse as the VM wouldn’t boot at all now if it had a driver on-file for the TV Tuner. Before it would at least boot. So this project was a failure and I will not be investing in new server hardware just yet. I’ll wait to see if Microsoft improve the feature set as allegedly this type of insanity (and yes, it is insane) is possible in VMWare. I do not want to change away from Hyper-V at the current time though, so I will have to stick with a client machine as a service. This does not mean of course that this cannot work in Hyper-V. The HVR-4400 is a card from 2011/2012. So it is not exactly new hardware. PCIe TV Tuners designed to modern electrical standards and for use on PCIe 3.0 bus architectures may provide better interoperability out of the box. I just don’t have any other cards to test with and am in a bit of a chicken and egg situation over wanting to invest in new cards and servers unless I know they will work nicely together. If you are interested in this too and would like me to have a go testing your hardware, please get in touch via HPC:Factor. Windows Server 2003 ships with Windows Media Player version 10.0, and this version is maintained and services through Service Packs for Windows Server 2003. The version of Media Player that ships with 2003 does not include Media Sharing support for distributing central Media Library databases to network clients. Unfortunately, with Microsoft’s decision to not to release Windows Media Player 11 for Server 2003 and not to include media library sharing in their 2008 platform, a minority of users (myself included) who use Server 2003 as a home server platform are forced to find other ways of centrally distributing media or to use an XP license, hardware (VM) and additional electricity to service WMP11 clients. Microsoft have made a conscious decision not to include Windows Media Player 11 in 2003, presumably as an added incentive to upgrade to Server 2008. However even Server 2008 fails to integrate the Media Library sharing components of WMP11 as Microsoft view the feature as not being of intrinsic use in corporate situations. While Microsoft aren’t wrong here, and they (now) offer the Windows Home Server platform with this support, it isn’t something that I personally wish to look towards using having built a Server solution at home rom NT 4.0 onwards. As I have a domain environment at home and having a server infrastructure I have no desire to add a Windows XP system “server” into the mix just to support media sharing or to purchase Home Server. As usual I have to wonder what goes through the heads of Microsoft development from time to time. For the sake of the 792 KB of entirely optional DLL files that are required to implement this – DLL’s that are being serviced anyway in the XP/XP64 (which is 2003 Server) and in Vista. You would have thought that adding it as an optional module wouldn’t be an unreasonable thought, however I digress. The XP/Server 2003 code base is identical and as such the binary versions of WMP11 for Windows XP will run on Server 2003, unofficially. This article outlines how to install Windows Media Player 11 and the system services necessary for Media Sharing using my nearly fully automated installation process. This guide outlines how to install WMP11 on Server 2003. The process of getting Windows Media Player 11 onto Server 2003 is fairly simple, and I did start to investigate how to get the services working myself. While searching on Google for a fix for an error message I stumbled upon someone else’s fix for the services. So, not wanting to reinvent the wheel I abandoned my research and have used their process in my automation tool for installing the services for media sharing. Credit for the process discovery for the system services goes to steven2004 of neowin.net. If you need the User Mode Driver Framework for mobile device connectivity (e.g. Android), download version 1.0.2 (with thanks to kevin551 from Neowin for the variable tip) if you do not, use version 1.0.1. If you want to replace the default version of UMDF with the newer 1.9 release, see this page. Do not roll this out in a production environment, it’s one thing to do it on a box at home, quite another to do it in an enterprise environment; so for the sake of arguments, just don’t. Note: This process does not patch the WMP11 installation. You will no longer received Windows Media Player updates from Windows/Microsoft Update and will need to apply these patches manually. Note: It has been suggested in some areas that you can edit the update.inf to change the require Operating System version information. If you do this, the CheckSum verification will fail at the beginning of the installation and WMP11 will not be installed. All Windows XP QFE files are digitally signed and therefore will fail to install if the hash check fails. 11/02/2013 – Added information on installing UMDF and version 1.0.2 of the install script.